I first witnessed the impact that computer science can have on a young mind when my son fell in love with coding in high school. At that time, very few schools offered any type of computer science curriculum, and my son’s interest was entirely self-motivated. While still in high school, he decided to take an online course on computer programming, and his interest soon turned into a passion. By observing my son, I saw the complex problem-solving skills that a student acquires from computer programming. I also saw that programming is an art, and develops a student’s creativity as much as the study of music or the visual arts. As a result, I became convinced of the pedagogical value of computer science, and felt strongly about introducing a coding curriculum at ISTP. Last winter, ISTP participated in the Hour of Code, an event organized by code.org, which seeks to spark student interest in computer programming. Our students were all enthusiastic about the Hour of Code activities, and their response spurred us on to make our goal of bringing computer science to ISTP a reality for the 2014–2015 school year. 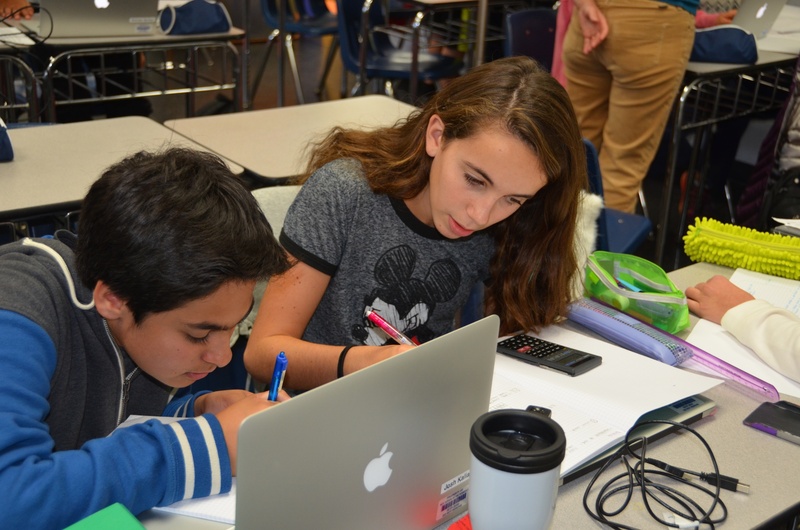 Many schools have considered adding computer science to their curriculum, but by implementing our program this year, ISTP is forging an exciting new path. French Curriculum Coordinator Olivier Monteil, English Teacher Mike Kulbieda, and Middle School Science teacher Elisabeth Lepert have all worked incredibly hard to pioneer ISTP’s Computer Science program. They have been especially aware of the need to create a comprehensive curriculum that supplements and complements the skills students are already learning. The program has been specifically tailored to suit students of different ages and abilities, from 1st through 8th grade. 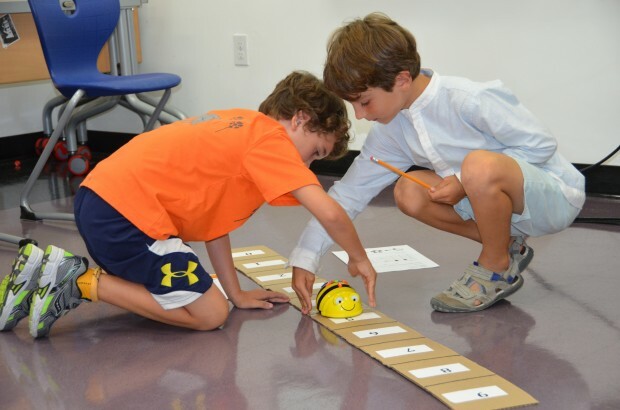 For example, our lower elementary school students have been introduced to programming with “Bee Bots,” an innovative educational tool that helps young students engage with the question, “How do you give direction to a machine?” In upper elementary school, our students are working with SCRATCH, a programming language that lets students create their own animations and games. By middle school, our students are able to comprehend more complex systems and concepts, and are programming directions on their computers to control the movements of a Lego robot. Watch this video for a more in-depth look at our students engaging with our exciting new curriculum. One of the benefits of computer science is that the skills students learn are readily transferrable to other disciplines. At ISTP, we are not trying to produce computer scientists, but rather to expose our students to a valuable pedagogical process and to deepen their abstract problem-solving skills. Educational success is in large part based on our ability to motivate students, and coding has proven to be an engaging and inspiring activity. The first year of a new program is always challenging. Two areas for growth that we have identified include developing better ways to assess the skills our students are learning, and helping our teachers easily differentiate their teaching for students of various levels within a single classroom. In December, we will once again participate in the Hour of Code. However, because our students now have a computer science background, they will complete more advanced activities than their peers. This fall has marked an important period of innovation for ISTP. I am very proud that we have pioneered an engaging new curriculum and paved the way to making our students’ experience even richer.